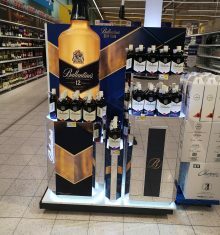 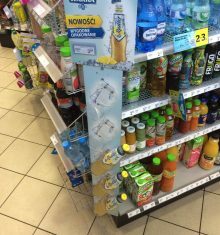 We gladly present the latest project by Emano Displays & POS Materials. 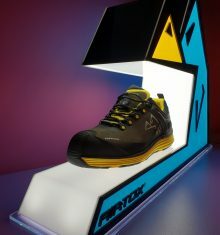 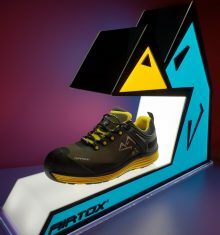 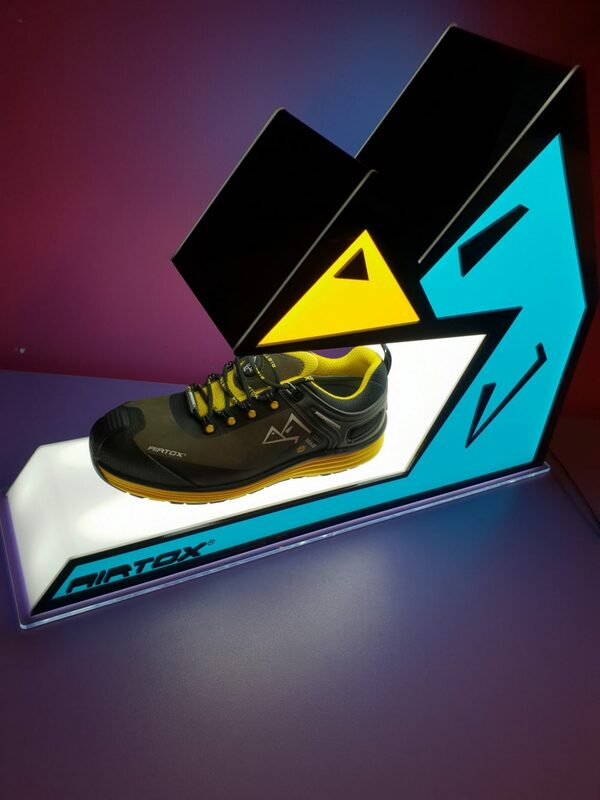 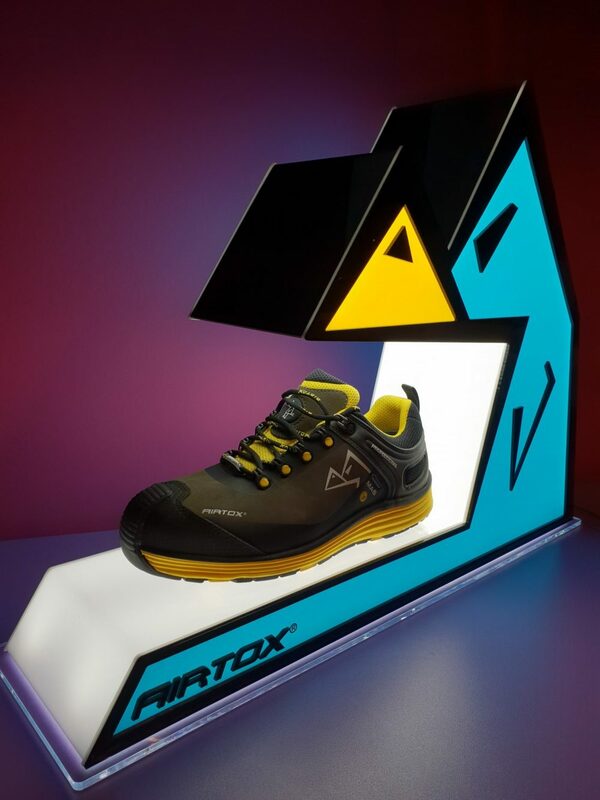 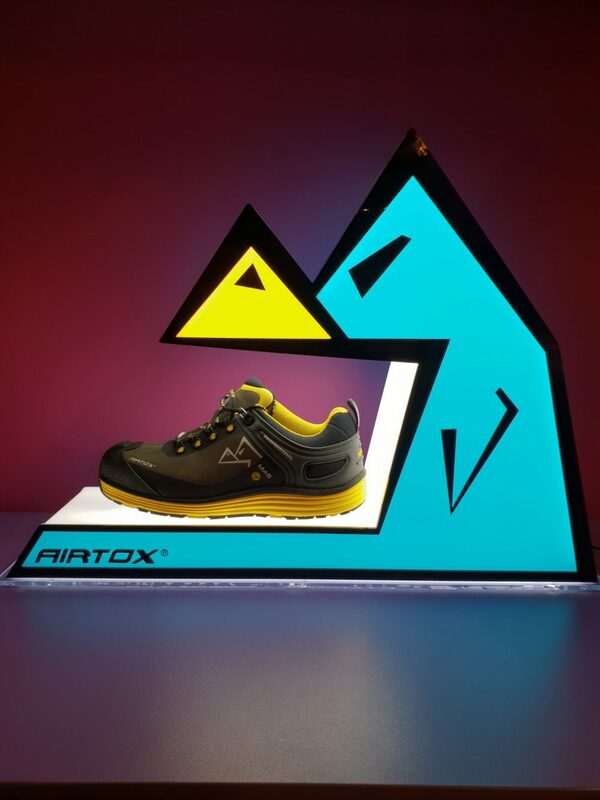 Illuminated counter dipsplay meant to present the high-quaity sports footwear produced by Airtox company from Denmark. 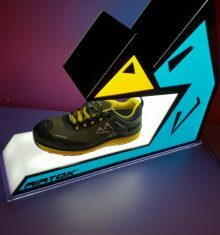 The shape of the stand is inspired by the producer’s logotype. 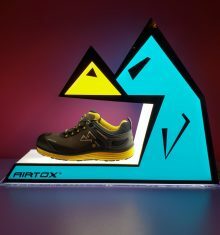 Thanks to the three-dimensional form and the deliberately picked illumniation it effectively reinforces the brand image. 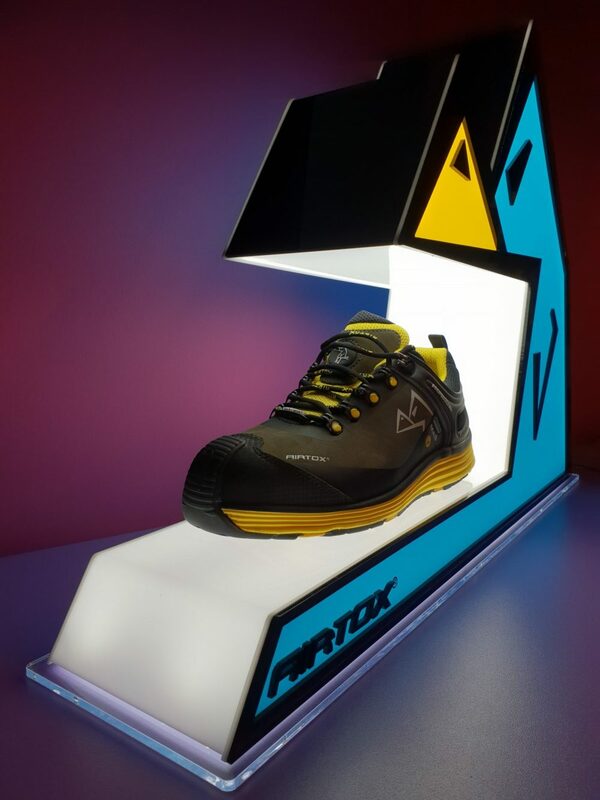 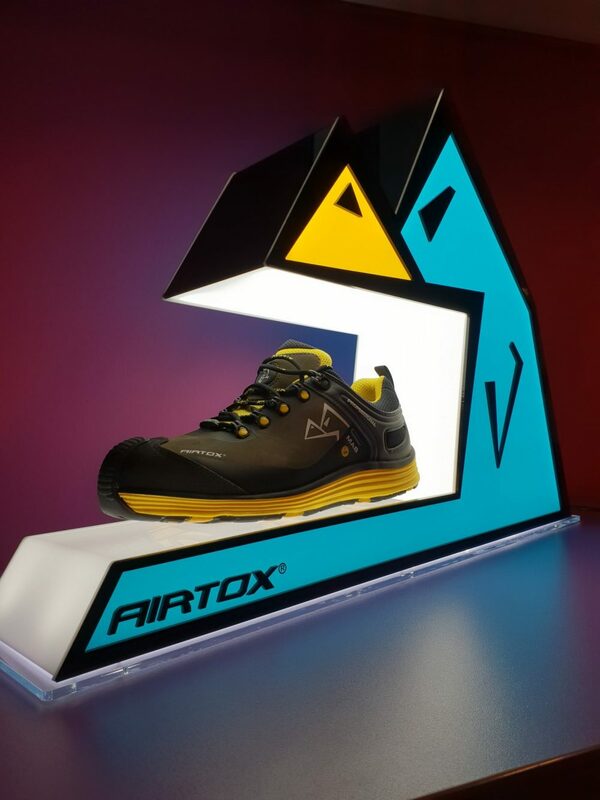 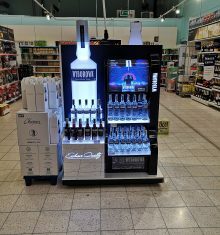 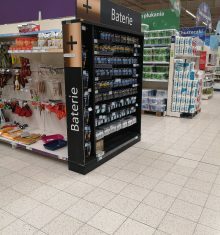 The stand was produced using the highest quality materials, just like the offered footwear, made using advanced technology for especially demanding customers. 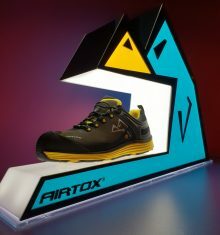 A very aesthetic and well-made expositor, which draws attention with its original shape and illumination.